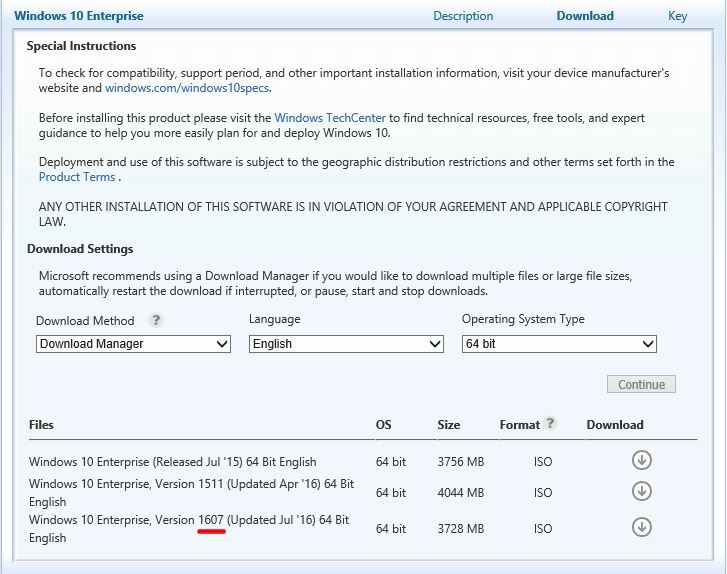 The long awaited Windows 10 Anniversary edition (version 1607) has been released and is now available for download from the Microsoft Volume Licensing Service Center (VLSC) portal. You’ll find both 32-bit and 64-bit ISO files with a download size of 2787 MB and 3728 MB respectively. Happy Windows 10 Anniversary installation!